DESCRIPTION: Large tract of land with mountain view. Close to clam digging. 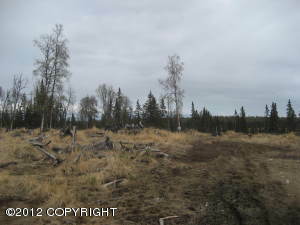 Adjacent lot for sale for $29,000 MLS# 12-4934. DRIVING DIRECTIONS: Sterling Highway to aprox. Mile 118.5, lot is located on Smokin Reel Court. Look for real estate sign.